The Girl With Three Legs is a heartbreaking memoir by Soraya Mire of her experience with female genital mutilation (FGM) as a thirteen year old girl in Somalia. Mire not only shares her experiences as a child in Somalia but also the physical and emotional scars left by the mutilation. Eventually Mire was forced into marriage with an abusive husband. In spite of these devastating circumstances, Mire found the courage to move to America, start a new life, and eventually film a documentary about the travesty of FGM, which is a rite of passage in all too many cultures. I struggled with the writing in the book. I had a hard time following the authors story - she seemed to jump around frequently in time and place and included details that I didn't feel related to the story at all. However, I hesitate to critique this as poor writing because I am so unfamiliar with African literature and African storytelling. I was also confused by a good deal of the dialogue between Somalians at various points in the book - the author uses slang and diction that I simply didn't understand. I felt like it was a barrier to me in really committing to the story. I'd like to read more African, and specifically Somali, literature to see if it gave me a better understanding of the book as a whole. You hate to talk about entertainment value in a book about FGM, right? I mean I don't want to say "yeah, the gruesome details of torture that women are enduring on a daily basis around the world really made my evening past quickly." So while my confusion with the writing and the subject matter kept it from being a book I'd call entertaining, I do think it's a book that is important. If you aren't familiar with FGM, you should be. It's a major women's issue and as our world shrinks, the problem is spreading. 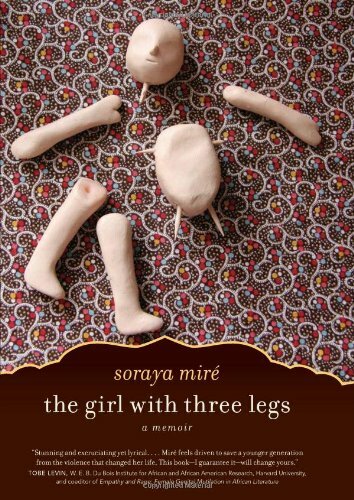 At the end of the book, Mire addresses the growing problem of FGM in the United States. I definitely recommend reading it. Also, I am a huge fan of Eve Ensler and she has contributed a great introduction for the book. I'm also a big fan of Eve Ensler and participated in "A Memory, A Monologue, A Rant and A Prayer" while in divinity school. here's the link to the post I did on the event if you're interested. I will have to look into this book it's an important issue that needs more awareness.